In these lyrics, from the song “Mi Calle,” Catalonian singer-songwriter Joan Manuel Serrat describes the neighborhood of his youth. 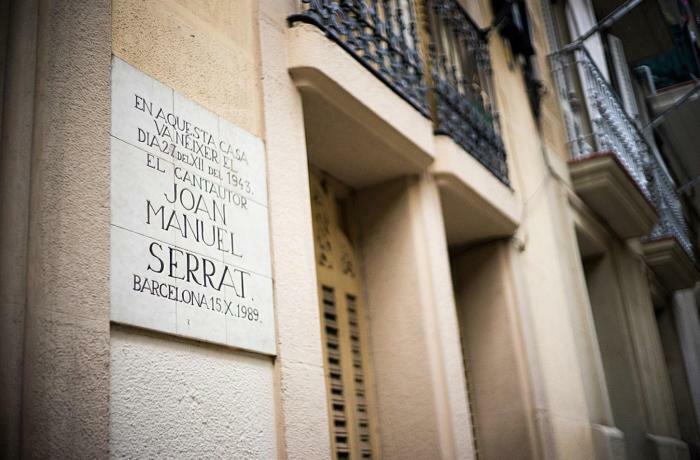 Born at number 95 on Calle Poeta Cabanyes, Serrat lived in Poble Sec until the age of 12, when he moved to Tarragona for school. The plaque at the building entrance reads: “In this house on the 12th of December of 1943, singer-songwriter Joan Manuel Serrat was born. Barcelona, October 15, 1989.” Affectionately known as “el noi del Poble Sec” (the boy from Poble Sec), Serrat dedicated many of his earliest songs to this quintessential Barcelona neighborhood that sits at the foot of Montjuïc: “La Carmeta,” “La tieta,” “El drapaire,” and many others pay special tribute to this unique part of the city. Interestingly enough, the neighborhood of Poble Sec (which in English means “Dry Village”) was never actually dry, explains historian Miquel Badenas. On the contrary, the waters of the mountain of Montjuïc flowed into it and gave rise to bountiful gardens. But by the mid-19th century, the textile factories cropping up around the dockyards began to absorb huge amounts of water to produce steam power, leaving the neighborhood wells dry. This working-class neighborhood with the atmosphere of a port city stretched to Avenida del Paralelo, where new cabarets and concert halls were sprouting up, infusing Barcelona with a Parisian flavor through the 1950s. Poble Sec was also a neighborhood of immigrants, first from other parts of Spain, and later from all over the world. Serrat himself was born to a Catalonian father and an Aragonese mother. Today, Serrat is recognized as one of the pioneers of the Catalonian Nova Cançó (New Song) and was a member of the group Els Setze Jutges (he came in as number thirteen of Sixteen Judges), a band that sang in Catalan and honored the legacy of the French chanson and its idols, like Jacques Brel or Georges Brassens. Throughout his career, he’s set the words of great poets to music, among them Antonio Machado, Miguel Hernández, Salvat-Papasseit, Alberti, García Lorca and Pablo Neruda. 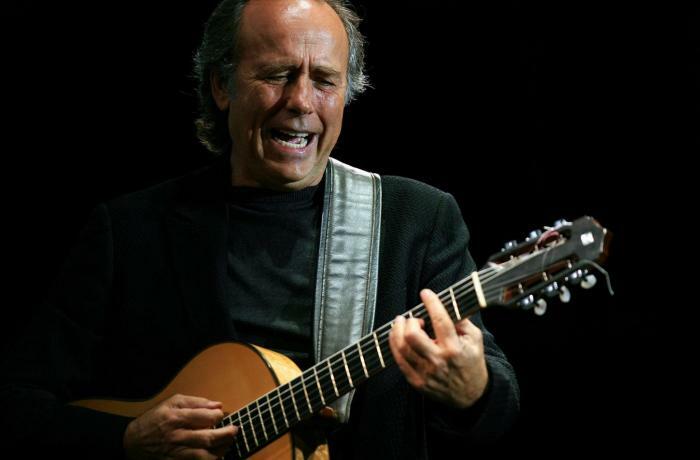 On March 24, 2006, the Barcelona City Hall awarded the Gold Medal to Joan Manuel Serrat to honor his civic contributions and his prestigious accomplishments as musician and global citizen. In 2007, he was given the Medal of Honor by the Catalonian Parliament and also received the Legion of Honor from the Republic of France. Today, the mountain of Montjuïc that looks over the neighborhood of Poble Sec is one of the green spaces of the city filled with parks, museums, sports facilities and cultural landmarks, making it one of Barcelona’s richest and most culturally vibrant areas. Ai, qui ho diria...! (Verse from the song “Plany al Mar”, Serrat 1984).